Once installed and activated the actionUser plus (AUP) addon the AUP settings page should appear inside actionuser settings. — This is where you will be setting up most of the values and data for paid event submissions. It is very easy to set up AUP. Once in settings page, activate paid submissions and then enter price for how much you would charge for a user to submit one event. And save changes. 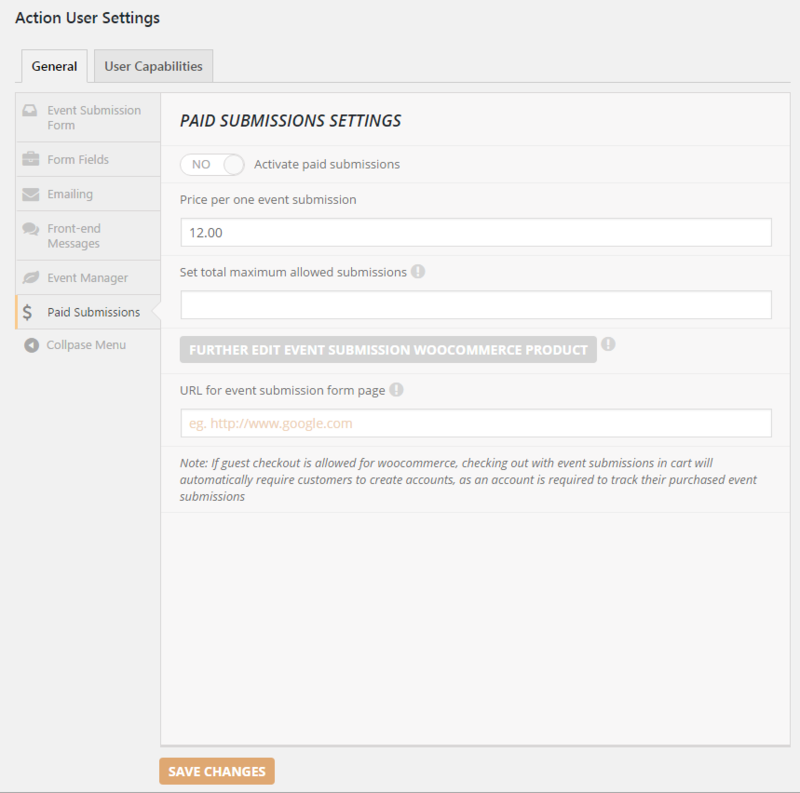 Now place the event submission shortcode in a page where you want users to visit to submit events. The event submission page will require valid submission credit to submit events once AUP is activated. You can further edit the associated woocommerce product for event submissions in settings page button.